Nine powder-rich resorts. One pass, a tap-and-go ticket gate system. The Hakuba Valley just keeps getting better. One of the leading snow resort areas in the Northern Japanese Alps, its international credentials were firmly established when it featured as a stage for the 1998 Winter Olympics in Nagano. Powder dumps average above ten metres a season across the valley, which encompasses the villages and towns of Omachi, Hakuba and Otari. Warm and welcoming with country charm, they are surrounded by the valley’s nine resorts of Hakuba Goryu, Hakuba 47, Hakuba Happo-one, Hakuba Iwatake, Tsugaike Kogen, Hakuba Norikura Onsen, Hakuba Cortina, Jiigatake and Kashimayari Sports Village. 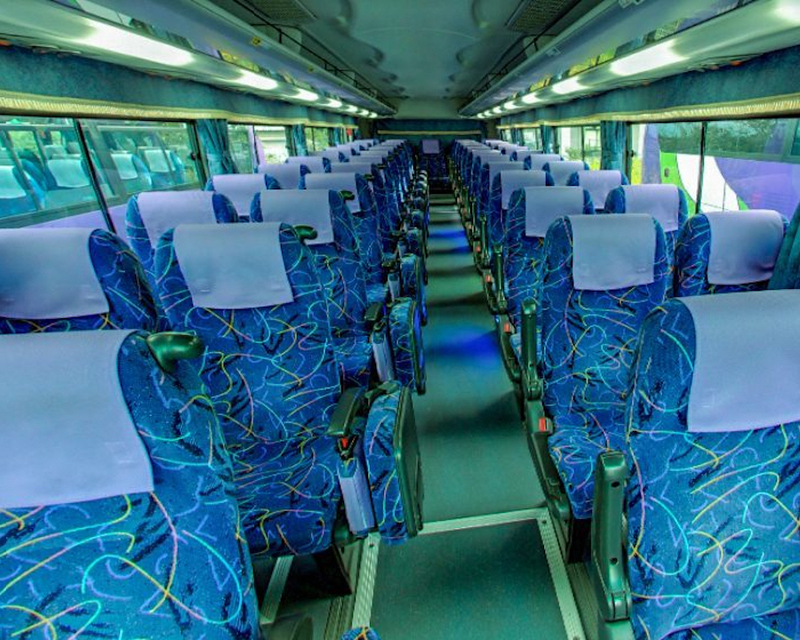 All are connected via shuttle bus, and with the Hakuba Valley Ticket, become one massive all-you-can-ride playground. 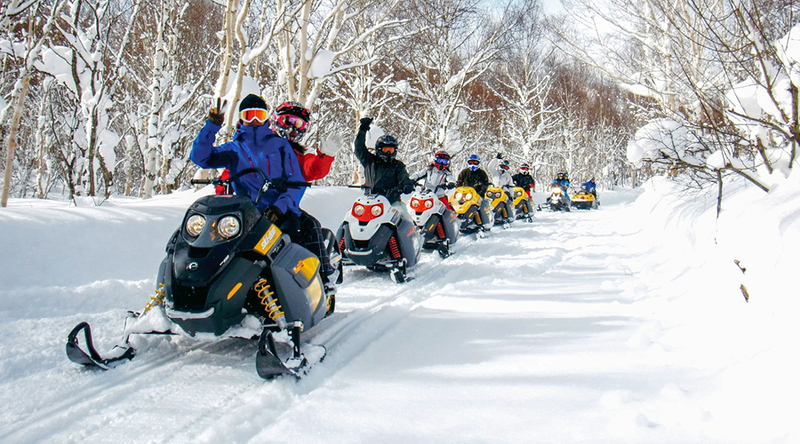 Passes for adults start at just ¥6,000 for one day, and thanks to the ticket gate system, riders can just tap and go to access the valley’s vast 941 hectares of terrain. 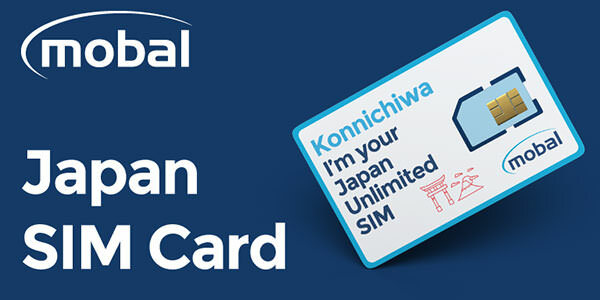 After receiving a smart card lift pass for the Hakuba Valley, it can be recharged easily online through the MyHakuba Pass web shop. This way, riders can just walk straight through the gate the next morning without having to queue up to pay. 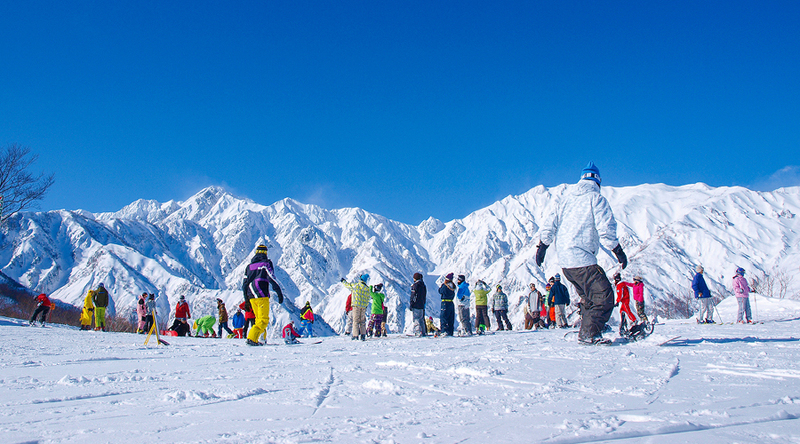 One of the advantages of the ticket gates will be the convenience for regulars and long-stayers in the Hakuba Valley. Backcountry skiing trips into even deeper powder territory with local guides, skiing and snowboarding lessons with experienced English-speaking instructors, traditional Japanese culture workshops, and a great nightlife are just a few of the reasons to stay longer. 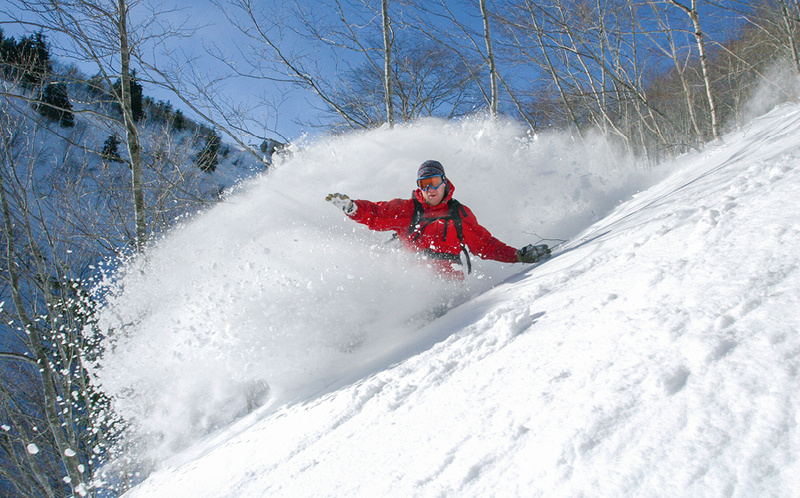 The Hakuba Valley’s magnetic appeal in winter is not only thanks to powder snow. 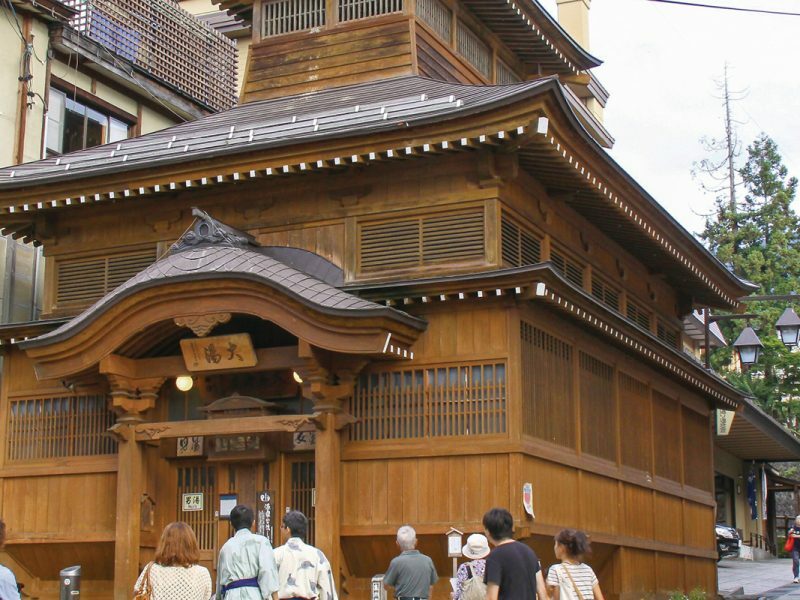 Naturally abundant in hot springs and surrounded by some of Japan’s best farmland, it maintains the authenticity of a vintage Japanese inn and farming community. Guests are treated to beautifully prepared local produce and sublime baths, alongside modern ski-in, ski-out luxury hotels, hostels, and bed and breakfasts. 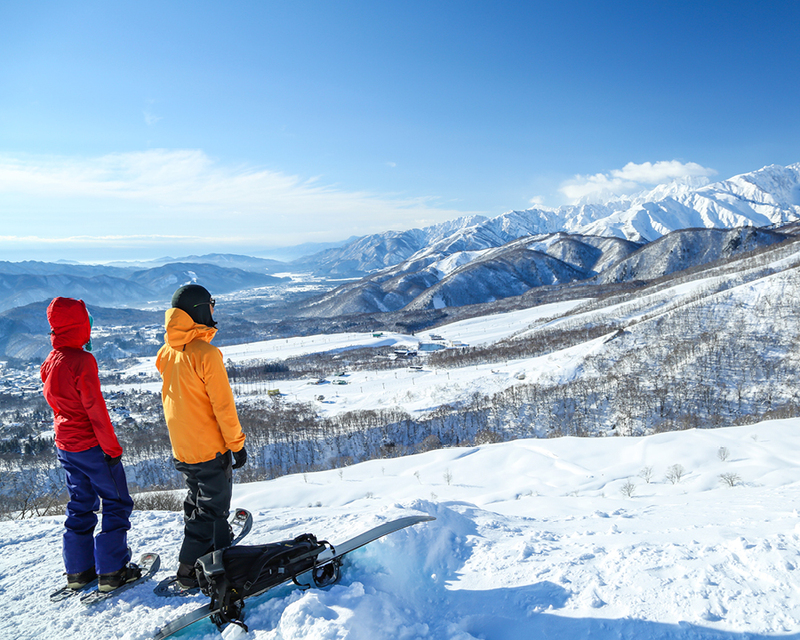 With as much to enjoy for first-timers as there is for veterans, the Hakuba Valley is a truly awesome resort area that deserves a place on every snow-lover’s Japan bucket list. 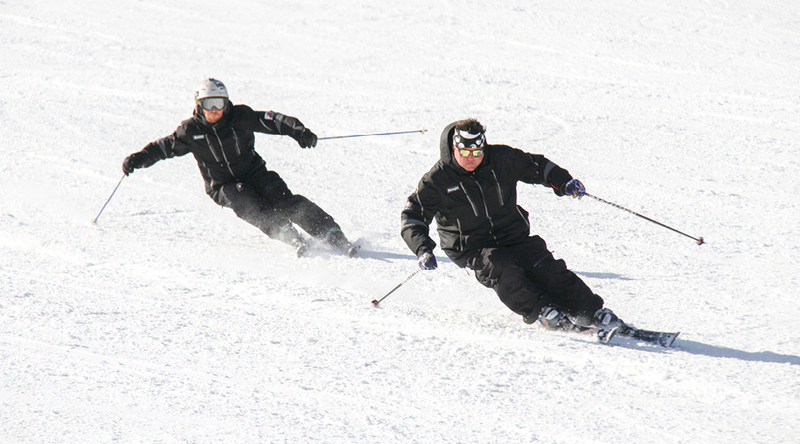 For Australian skiers in the world resorts for an extended period, the ultimate is the Epick Australia Pass. This is the best value season pass for Australians and connects Perisher with Japan, Canada and the best of the U.S. resorts, with 27 mountain resorts in four countries on the pass. Find out more about using your Epic Australia Pass at Whistler Blackcomb, Vail, Beaver Creek, Breckenridge, Keystone, Park City, Heavenly, Northstar, Kirkwood and Stowe, by visiting snow.com/Australia. This pass offers great value for riders spending a good holiday in those ski resorts for 2018-2019 season. Covered in the excellent powder snow of the Northern Japanese Alps, Hakuba Goryu is interconnected with Hakuba 47 next door, created a balanced total of 23 courses for all riders. Its Escal Plaza building is fully equipped with restaurants, rentals, and shops for snow gear and local souvenirs, and with great international services and information, life is easy for non-Japanese speaking guests at this resort. 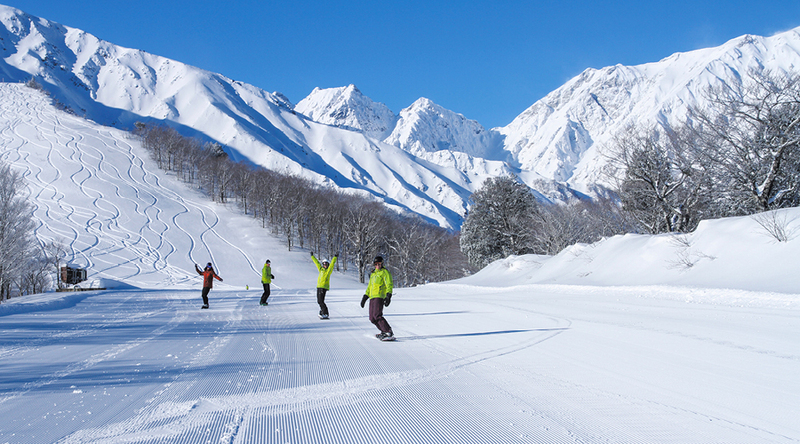 The slopes of Hakuba Goryu combine steep, winding speedways with wide, welcoming plateaus. Ski and snowboard lessons are available in English for riders of all levels at the Iimori slope, which together with the Tmi slope, also provides a daycare service for families. Terrain features to try on the mountain include moguls, a bowl burn and a super-sized park, and there is almost a kilometre of vertical from the top. This is also an access point for the slopes of the Hakuba 47 resort next door, which can be enjoyed thanks to a common lift pass arrangement. At the base of the resort, there is a good selection of hotels, pensions and condos, as well as a lodge. The Hakuba Goryu Stay Information Desk at JR Kamishiro Station is also able to assist with enquiries from 7:30am to 6:00pm, while Escal Plaza is open 24 hours from mid-December to the end of March. A distinctively Gen Y resort in comparison to the many baby boomers in the Hakuba Valley, Hakuba 47 was born in 1990, and has since risen to prominence as one of the valley’s premier all-season resorts. Its winter scenery is nothing short of magical, with a skyline dominated by jagged peaks reaching towards 3,000 metres, and its 23 courses down them offer a wide range of terrain – including moguls and designated off-piste areas – that will satisfy all riders. 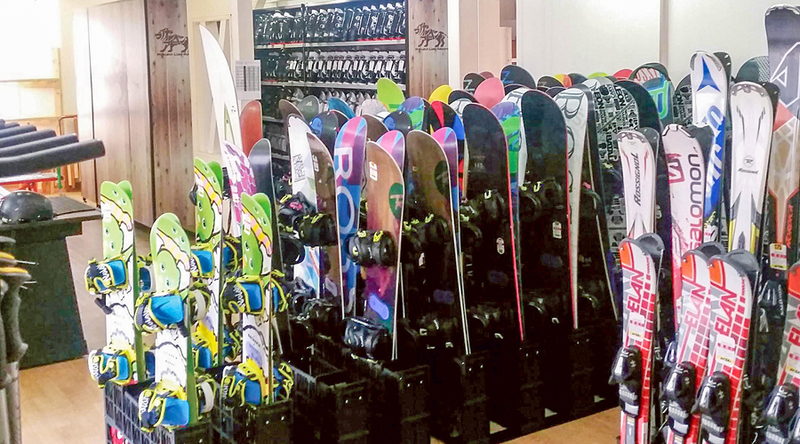 Some of Hakuba 47’s biggest draw cards are its terrain parks, the R4 and R6 Snow Parks. R6 caters to all levels, and was designed by pro team TOMBOY, using the best of both Hakuba 47’s natural and artificial terrain. It’s a friendly place to learn the ropes, before heading to R4 – an artificially constructed terrain park. 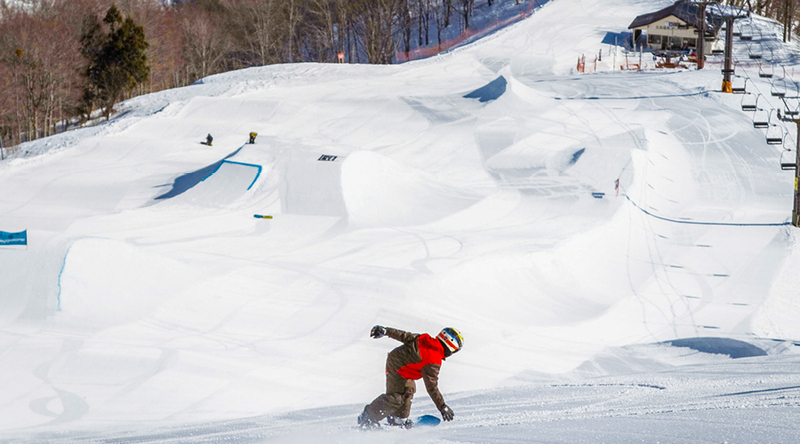 Pro team HYWOD designed its popular R4 Snow Park, which features as a stage for events like the Hakuba 47 Slopestyle, and the North Alps Terrain Park Tour. There’s also the half-pipe, a behemoth in the three-metre class that opens with the park in the heavy snows of early February each year – one of the best times to be at Hakuba 47 in winter. The snowfall is abundant enough for the resort to build an igloo village and ice sculptures in addition to the artificial terrain, as part of the Hakuba 47 Thanks Week – a festival which happens in conjunction with the We Love Snow Festival across the Hakuba Valley. Not just for show, some of the igloos function as rest houses complete with ice bars – naturally serving ice-cold beer – and even Japanese hot pot dishes. Over in the base area, Pizza House Luis is a fantastic choice for a meal, having won a top place in the local ‘Gereshoku Battle’ for four years running. A contest between slope-side eateries around Nagano Prefecture, this battle typically features a strong field of more than 60 dishes. One of the recent prize-winning menu items from Pizza House Luis is its ‘Nozawana Pizza’, topped with the famous pickled vegetables of Nozawa Onsen. Hakuba 47 stands out as a must-visit resort in the Hakuba Valley, and with the longest winter season there from December to May, there’s ample opportunity to go and experience it. 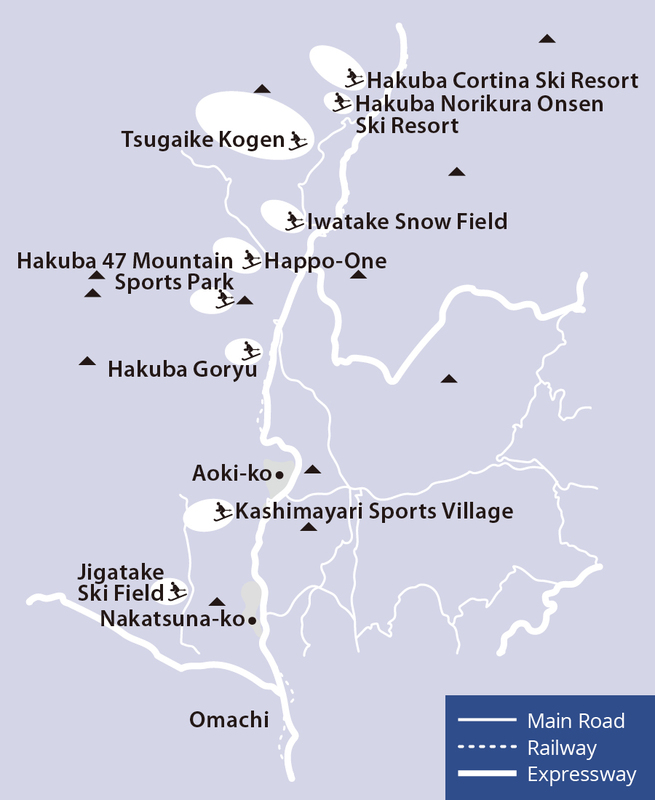 Hakuba Happo-one is one of the Hakuba Valley’s pioneering ski resorts, with roots stretching back to the 1920s. Today it remains at the forefront of the development of snow sports in Japan, and with more than twelve metres of excellent quality powder a season, delivers a snow holiday of the highest order. The riding tradition at Happo-one is intertwined with its Riesen Slalom, a grass-roots competition that has been going for some 70 years. One of the resort’s most legendary runs is the Skyline Course, a glorious six-kilometre run inclining between 31° and 16° that includes an ungroomed powder run. The Skyline runs into the Sakka Course, a great area for families; it also has a kids ski school and childcare facilities. There are three snow playland areas at Happo-one: the Sakka Kids Park, Snow Rafting Park and Usao Park, which are popular for fat biking, snow-shoeing, sledding and other fun activities. Thanks to its high altitude of around 1,000 metres, the resort can stay open until as late as early May. With 800 metres of vertical extending over three kilometres, Happo-one has a wide variation in terrain and is hugely popular with intermediate riders. 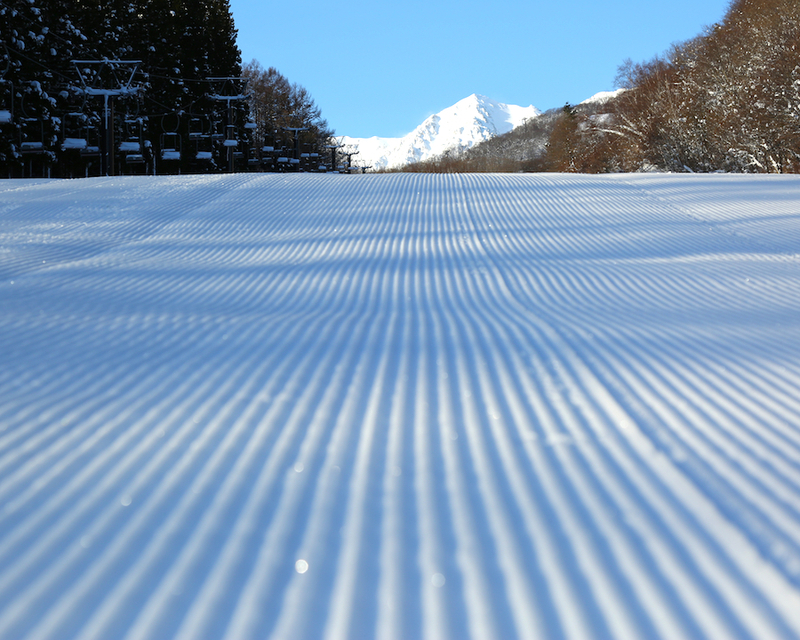 Another major draw card of the resort is its Kurobishi Course, and ‘URAKURO’, which is known as one of the best ungroomed advanced runs, featuring Hakuba’s iconic mountain scenery on its left. Pro riders hit the powder of Happo-one for some epic runs on a Freeride World Tour qualifier in January 2017, which was followed by the IVSI Snow Instructors Congress in March. The excitement always heats up at the resort in mid-February for the Happo-one Fire Festival. Its dazzling fireworks display is a show-stopper, lighting up the slopes and night sky with brilliant splashes of colour. 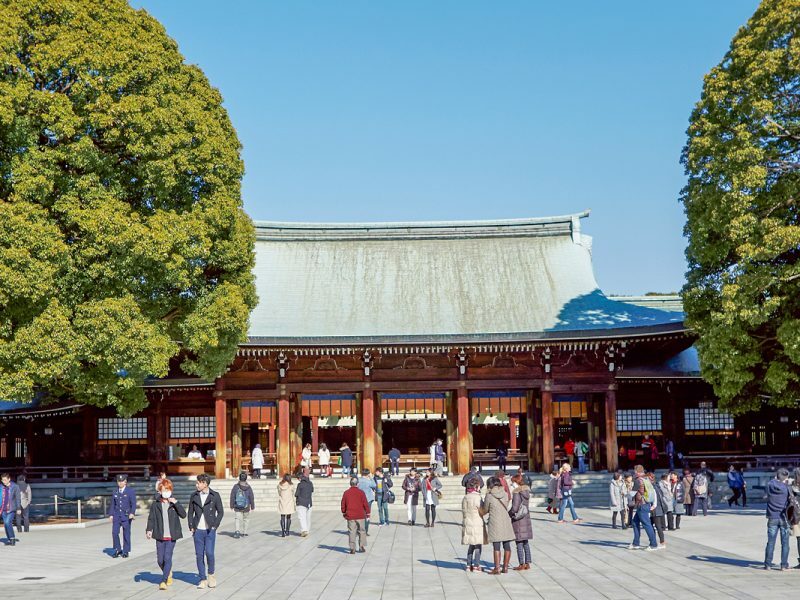 Get there early to enjoy some sake on the house after the kagami-biraki sake barrel-opening ceremony, and expect some powerful taiko festival drumming to hit the airwaves. Accommodation, dining and drinking in the village area below Happo-one is just as good as the riding, offering the classic Japanese après-ski combination of hot springs, hearty local cooking and an ale or three. For access to Happo-one and all the other Hakuba Valley resorts throughout the season, a Hakuba Valley All Area Season Pass is the way to go. Enjoying a 360° panorama of the Northern Alps and Hakuba Basin, Hakuba Iwatake Snow Field has 26 courses down the 1,289-metre Mount Iwatake. Mountainside, the beginners’ area around the summit, is the place for mellow cruising with amazing scenery. The Hillside area follows a wide creek bed with banks to carve up, and also has an off-piste subsection in the shadow of the mountain. 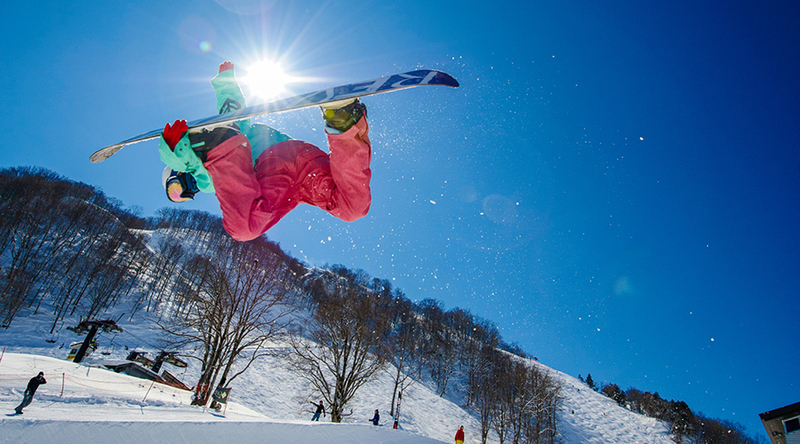 For professionally shaped kickers, rails and other obstacles, hit the Iwatake Love Snow Park. Tsugaike Kogen transforms from a highland oasis of colour in the off-season to a powder paradise in winter. One of the Hakuba Valley’s biggest resorts, the ten courses within its 196 hectares are connected by 20 lifts, and there is a good variety of convenient slope-front accommodation here. Situated in the Tsugaike Onsen hot spring area, the resort is also close to many smaller lodges, shops, restaurants and izakaya bars. Views of the valley around Tsugaike Kogen are magnificent, especially from the courses descending its upper reaches around 1,700 metres. They include the Tsugano-mori Course, a wide intermediate slope, and the Uma-no-se Course, a 32° expert’s run with tighter turns and moguls. 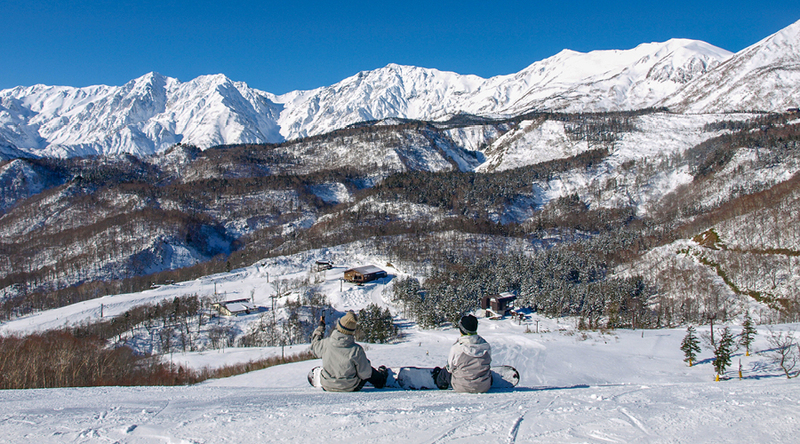 Also located high up at Tsugaike Kogen is its Hit Park, the highest terrain park in the Hakuba Valley. It opens during January on the Han-no-ki Course and shifts to the Tsuga-no-mori Course during March, offering a mix of kickers up to twelve metres high, boxes and banks. The Tsugaike Powder DBD off-piste area caters for expert backcountry riders. 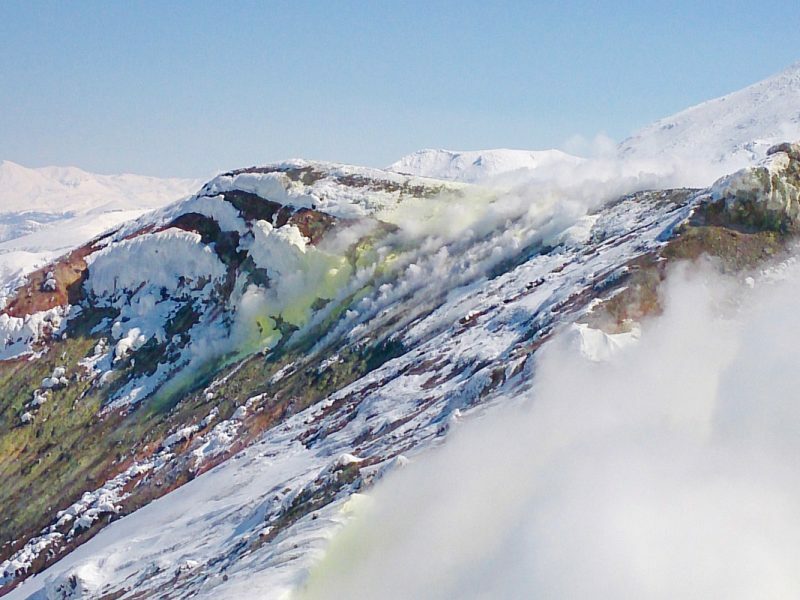 Helicopter trips take skiers and snowboarders to the Tsugaike Kogen backcountry from March every year, dropping them off at 2,200 metres to enjoy the long 14-kilometre run through Chubu-Sangaku National Park. This dynamic area can be enjoyed on a guided snowshoe hiking tour, too. 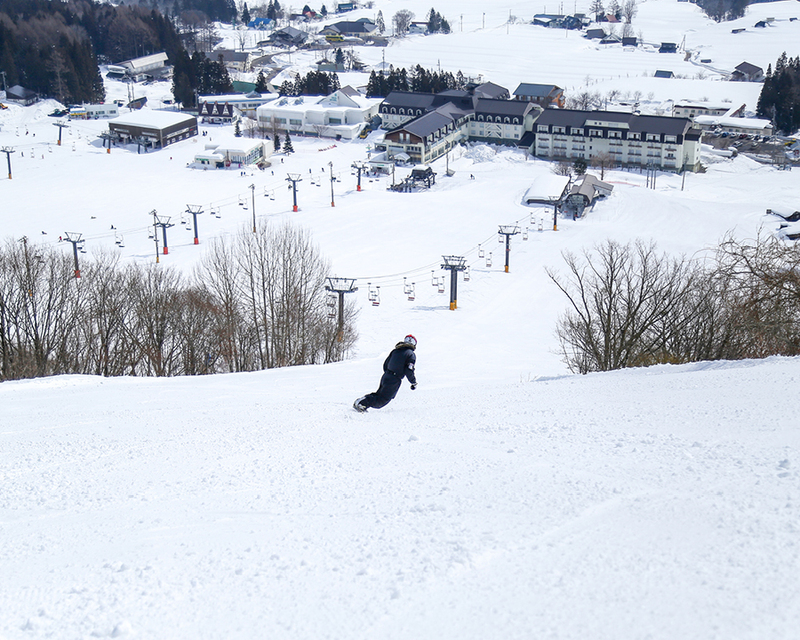 Tsugaike Kogen is also known for its wide, gentle slopes, like the Kane-no-naru-oka (‘The hill where the bell rings’). A spacious 1,200 metres wide, the slope is lit up for night skiing. On its northern side lies the Tsugaike Kids Park, with play equipment laid out in a 70 x 70-metre area connected by a 50-metre magic carpet, and an indoor play area on the first floor of Restaurant Grill Tsugaike. These facilities combine with the great ski-in, ski-out accommodation, which isn’t usually this close to the slopes, to make Tsugaike Kogen an especially good resort for family trips. 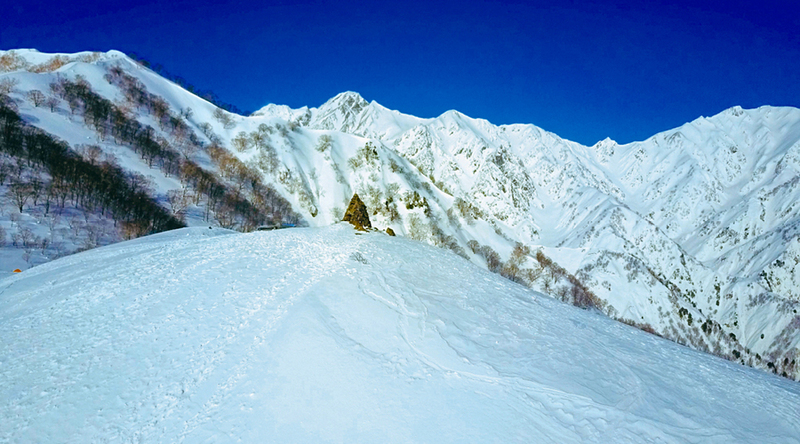 Secluded amidst the rugged mountains in the north of the Hakuba Valley lies Hakuba Norikura Onsen Ski Resort. Known as Hakuba Norikura, this resort is popular for its wide variety of courses, excellent powder and relaxed local atmosphere. With a range of facilities, accommodation and hot springs, it is well-equipped to offer the ideal snow resort getaway for all ages and abilities. Hakuba Norikura has a total of 16 courses for all levels, from the steep and deep powder of its Expert and Skyview Courses, to its gently undulating Family Course. The Skyview Course is one of the resort’s most famous, boasting a generous width of 250 metres, inclines ranging from 10° to 38°, and jaw-dropping views. 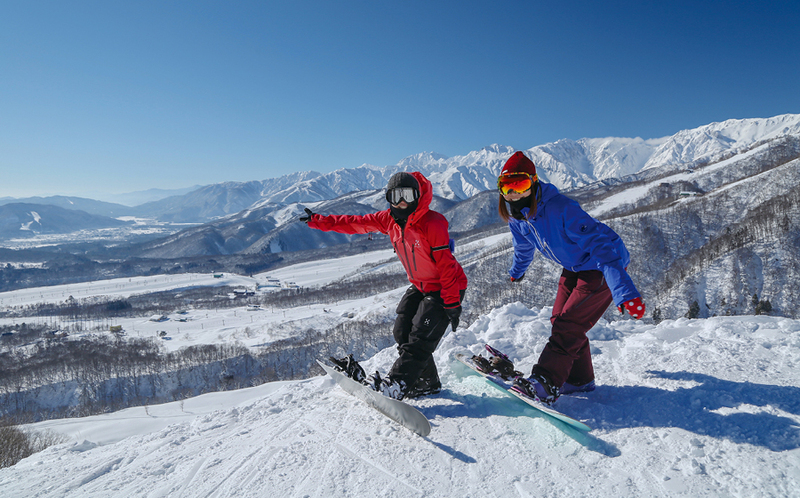 Other slopes around Hakuba Norikura feature tree runs, moguls, a terrain park, and a kids park with free rafting and tubing, and the resort is interconnected with its neighbour, Hakuba Cortina Ski Resort. Hakuba Norikura has now introduced ticket gates for the Hakuba Valley’s new electronic lift passes, which are available directly through local hotels. 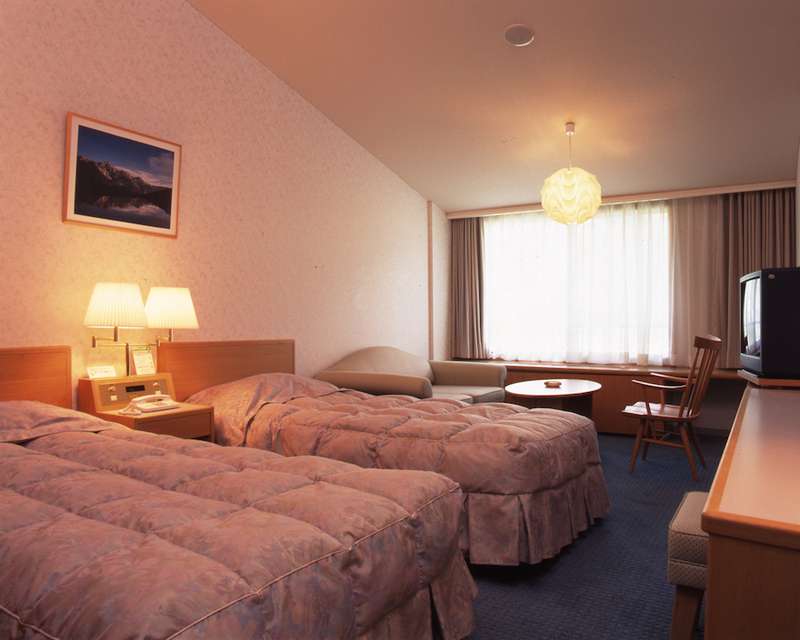 For great slope-front accommodation, stay at the Hakuba Alps Hotel. The tasteful hot spring baths and health spa here incorporate wonderful views of the mountains, and as well as a buffet restaurant, there is high-quality Japanese and French cuisine on the menu, featuring the natural and wholesome flavours of Nagano’s local produce. Hakuba Cortina Snow Resort enjoys the Hakuba Valley’s heaviest powder dumps, and impressive mountain views from its hot spring baths. 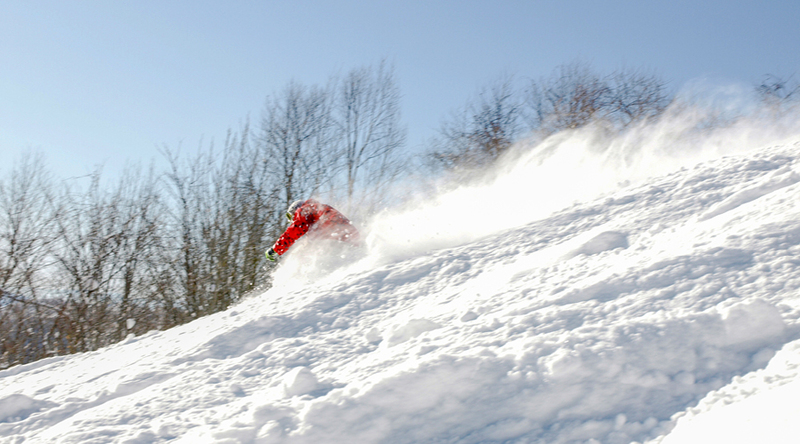 A gigantic natural bowl lined with tree runs, the resort has a designated off-piste area that makes it a powder heaven. 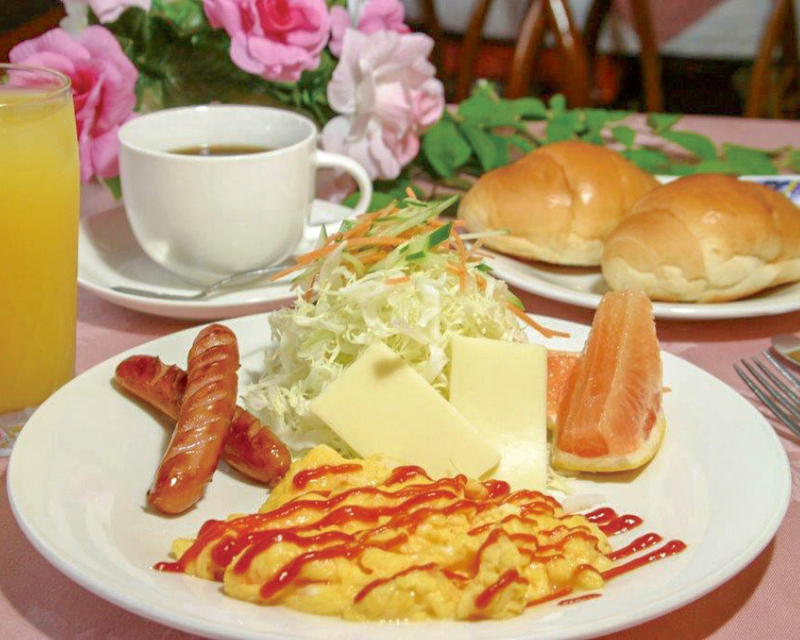 Family friendly slope-front accommodation is available at its classy Hotel Green Plaza Hakuba, and interconnecting passes to Hakuba Norikura Ski Resort next door add more variety. Visit the Cortina Facebook page for real-time snow updates. 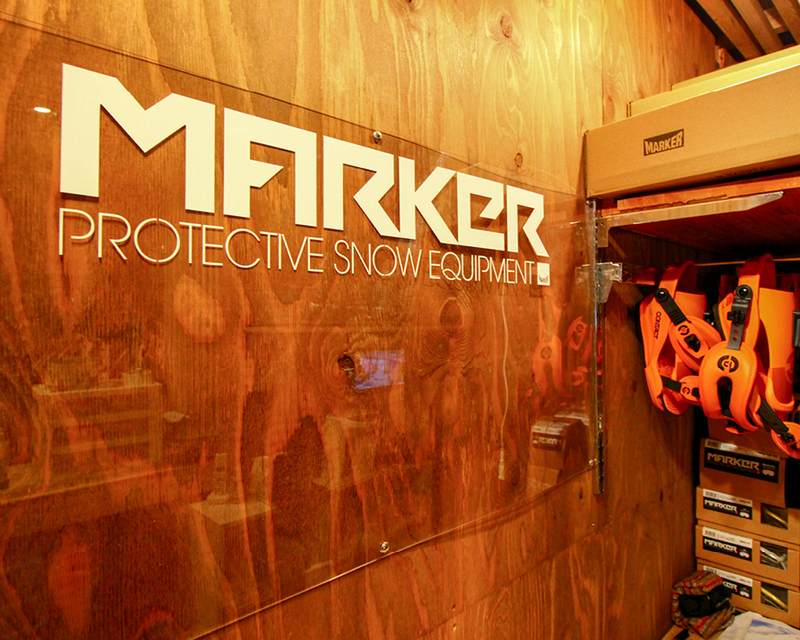 For all your snowboard and ski equipment needs, the Woody Hakuba rental store is your first stop to shop! With not only one, but two stores managed by the hospitable staff at Woody, you will find high quality products and services at the most affordable prices. The staff are driven to ensure that your needs are satisfied so you are best able to enjoy the winter season in Hakuba! Choose from a variety of ski clothes, gloves, goggles and helmets, as well as high performance gears like snowboards for powder and park, and racing skis. 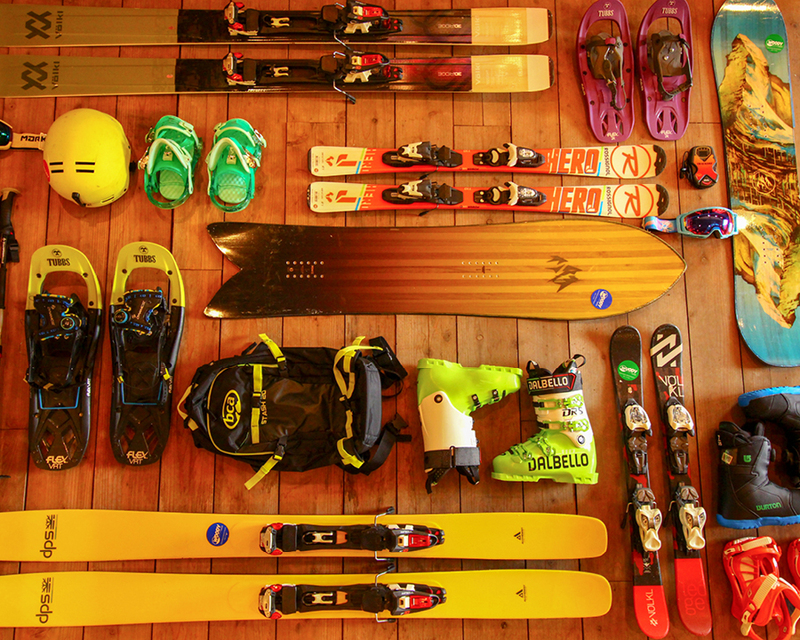 With such high-quality equipment, they also carry superb brands like Völkl, Rossignol and DPS Skis. With pick-up and delivery services, equipment storage and rentals, these two fantastic stores cater to every customer’s needs. 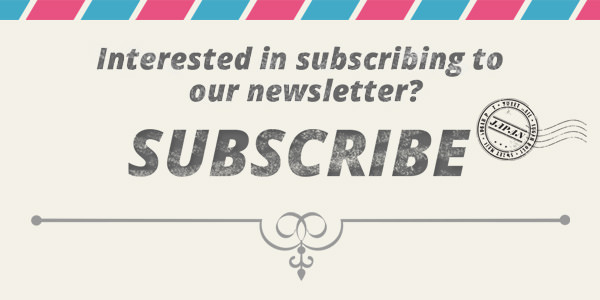 There’s currently a special discount offered to those who visit their website! You can get up to 10% off all rentals or 20 % off for kid’s rental, so be sure to have a look at their page before heading to the store (You can only use one discount at a time). Woody’s Happo Shop No. 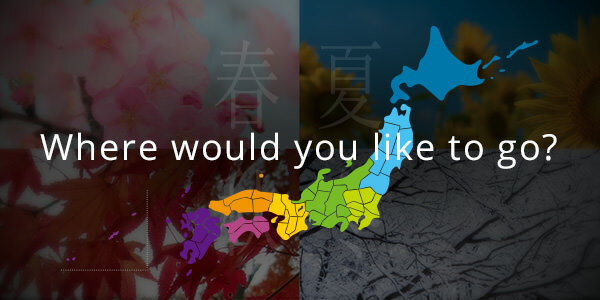 1 is located 3 minutes from the Happo Information Center. Shop No. 2 is only 1 minute away from the Happo Gondola Lift. 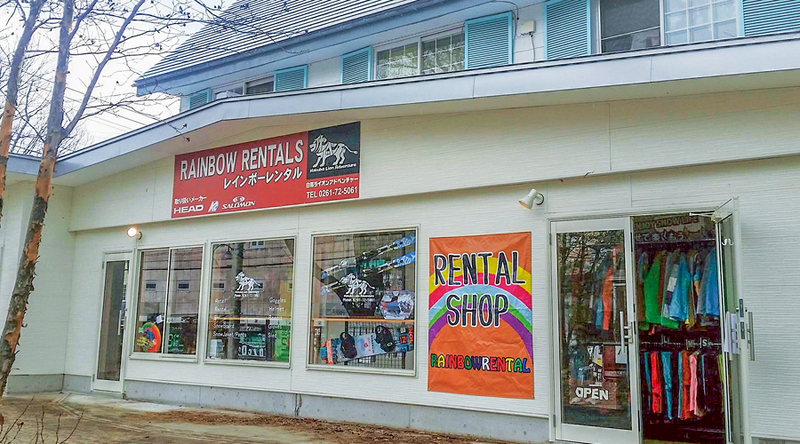 Rainbow Rental is a Ski and Snowboard rental store which located in Echoland- one of the hottest spots in Hakuba. 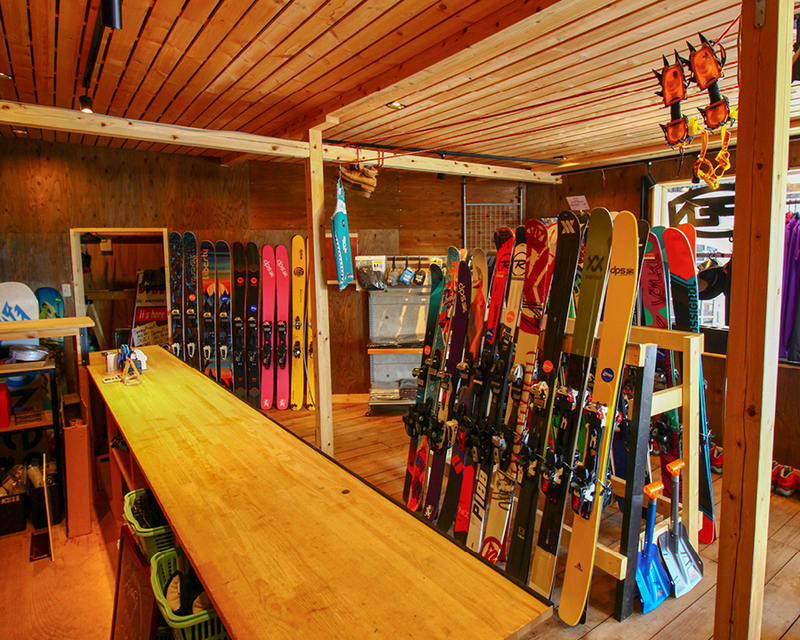 Stocked with all of the latest models in great conditions, you can depend on Rainbow rental to assist you with any of your Ski and Snowboard equipment need, Bilingual staffs are welcoming you and assist you with our Japanese OMOTENASHI hospitality!! Renting equipment means less hassle between each location you visit, so this is a great service to use! Simply go online to book the equipment and their friendly staff will help you organize everything! Hakuba Alps Hotel puts guests in the thick of the powder action in one of Japan’s most famous and celebrated ski areas, but not only that, it affords the opportunity to marry that experience with equally first-rate dining and traditional Japanese onsen bathing. 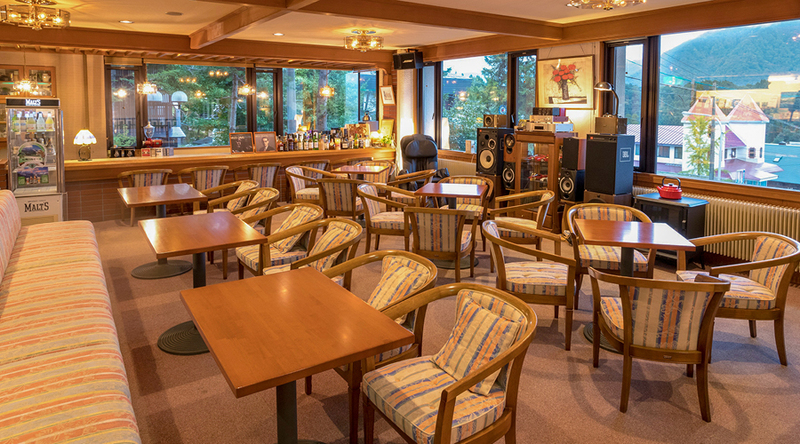 The hotel is home to more than two hundred rooms, both Western and Japanese style, each one of which puts guests in the perfect place to take advantage of the wonders of Hakuba Norikura Onsen Ski Resort. Hidden among the beautiful natural setting of the Hakuba Valley’s northern reaches, Hakuba Norikura is a favourite winter destination for those who come in search of, not only abundant Japanese powder falling open a great variety of courses, but the relaxed vibe and local feel the whole place is known for. Hakuba Alps Hotel is pleased to offer unbeatable slope-front accommodation where guests can reward the day’s efforts with authentic hot spring baths featuring slope and mountain views, a health spa, and restaurants using locally sourced produce ranging from an extensive buffet to Japanese and French cuisine. 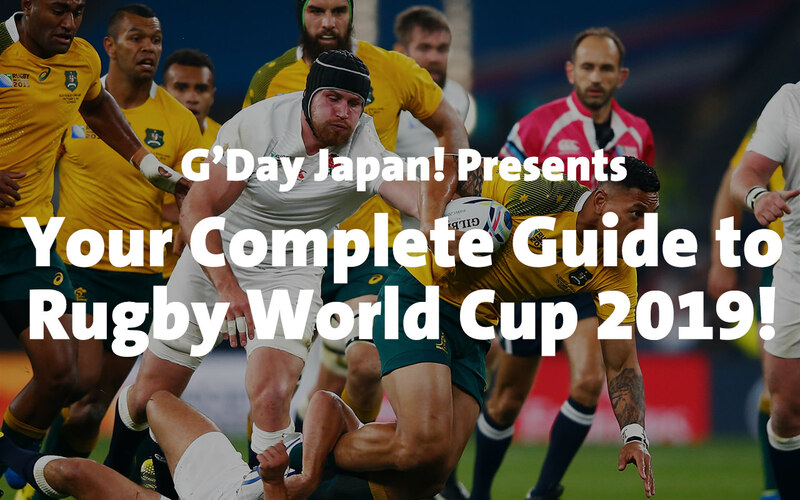 It’s every bit the comprehensive Japanese winter experience Australians come in search of. 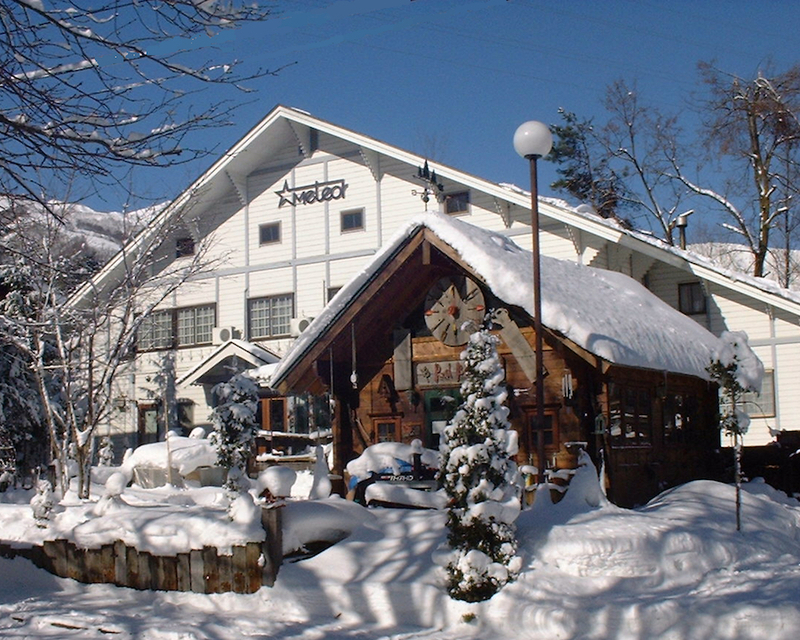 The Hotel Mont Blanc Hakuba Group is made up of four different accommodations in Hakuba. Each has their offer something unique so between the four, there’s definitely something for everyone. There are three hotels, Mont Blanc, Sejour Mint and Hakuba Familia, as well as a cottage known as Hakuba Vacation House. What you can expect at all of them is fantastic service and a comfortable home away from home during your holiday in Hakuba. 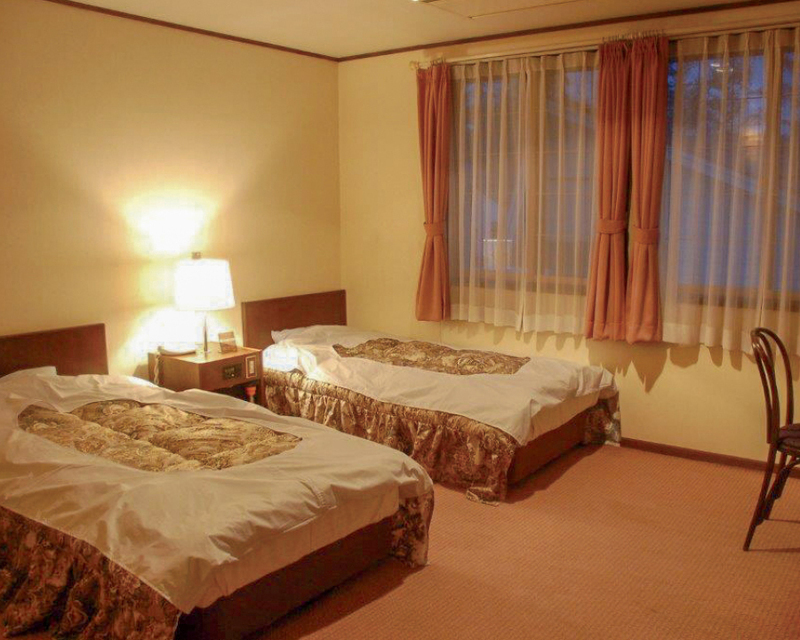 All four accommodations are located closely to one another and all are within 10 minute walking distance from the popular ski resort, Hakuba Goryu. 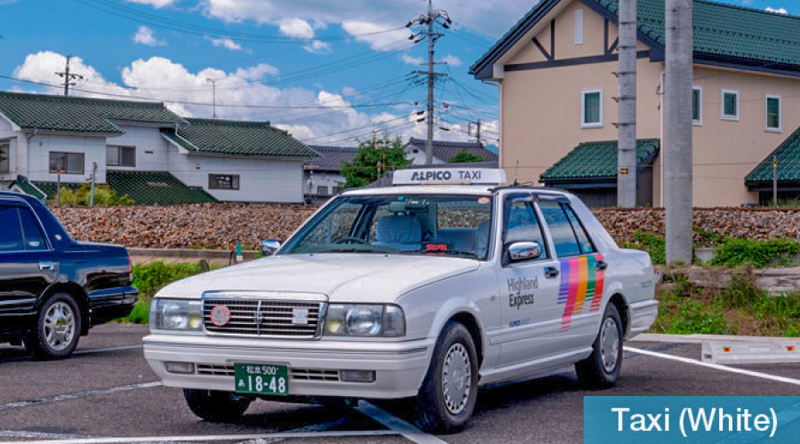 No matter which location you stay, with prior warning the hotel offers courtesy pick up services from the nearby stations and bus terminals, and there are plenty of shuttle services available in the local area that will take you to Hakuba’s ski resorts. 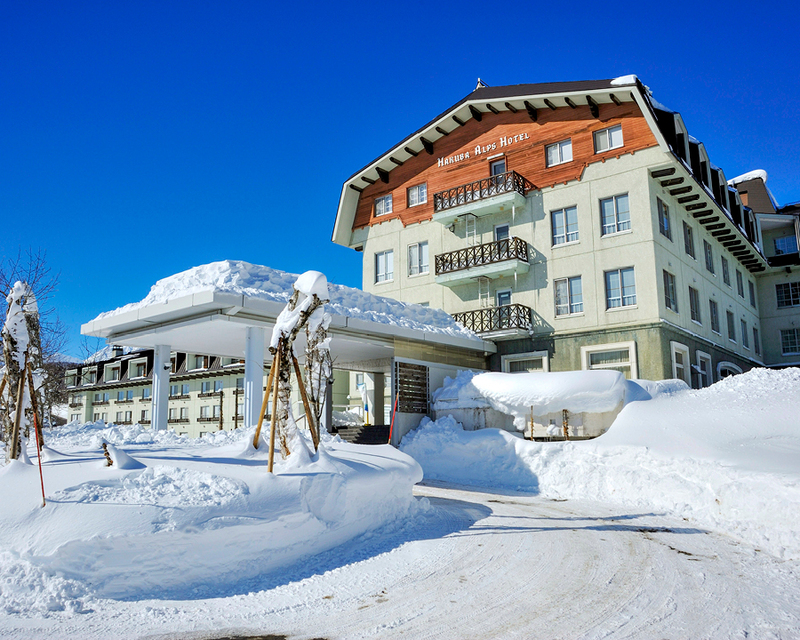 Whether you are a solo traveller visiting Hakuba for the first time, or a group of Hakuba snow fanatics, the Hotel Mont Blanc Hakuba Group is here to support you and provide you with the perfect home away from home for your next holiday in Hakuba. Long-stayers and group travellers behold – the perfect basecamp for your next Hakuba holiday is at any of Meteor’s four locations! 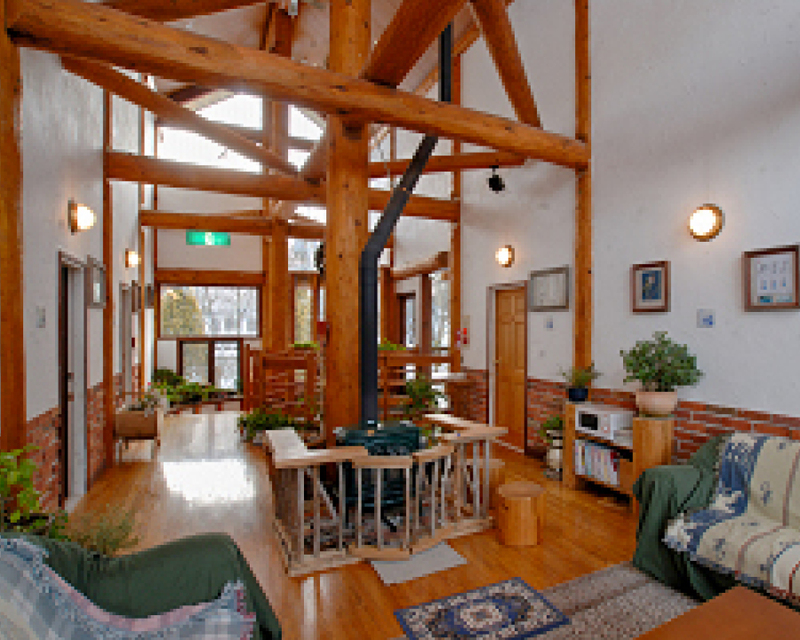 Meteor is run by a friendly local family and staff, and they look after four separate accommodations in Hakuba. 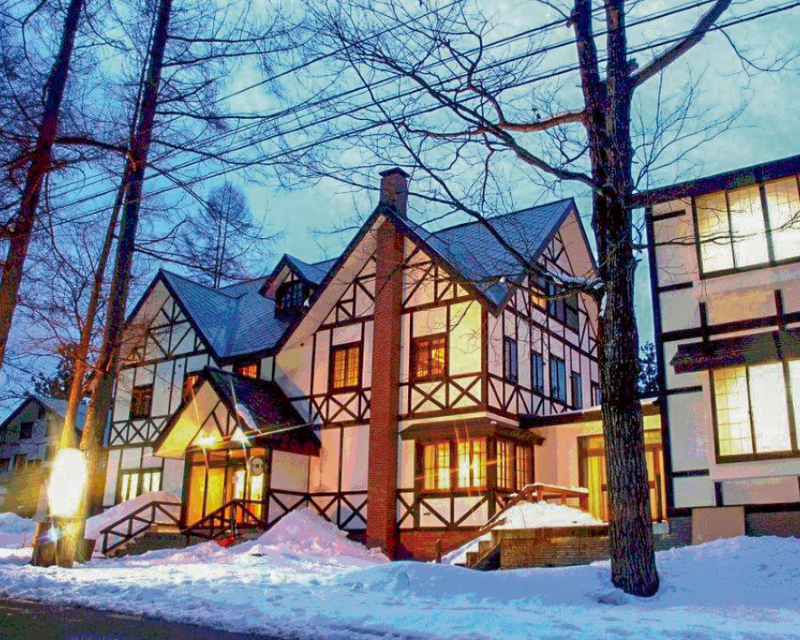 For families, long-stayers and group travellers their self-contained Hakuba Brownie cottages or condominiums will provide you with all the necessities, including fully functional kitchens and laundry facilities. 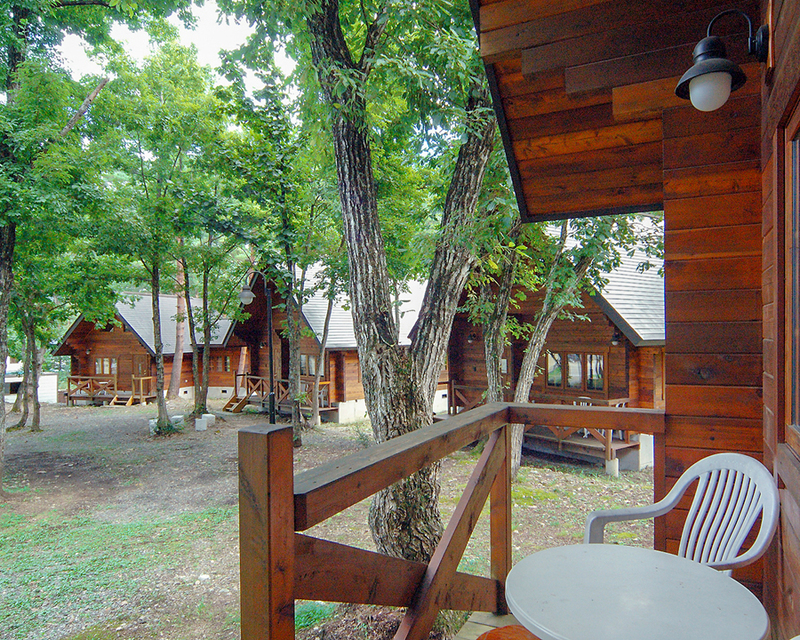 The two hotels run by Meteor, Meteor Pension and Meteor Log Hotel are cosy log cabin style accommodations. The rates for both of the hotels and the self-contained cottages and condominiums that Meteor also offers are extremely affordable. 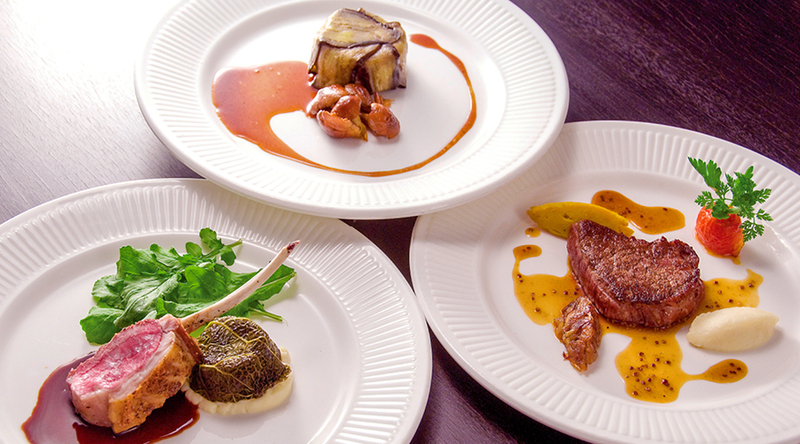 All four of Meteor’s locations are within walking distance to Hakuba’s hot spot, Echoland, where you’ll find restaurants, bars and supermarkets to keep you entertained off the snow. Also within walking distance are some of Hakuba’s best resorts including Happo-one. All booking enquiries and check-ins are accepted through the main venue, at Meteor Pension. You get to virtually wake up and step onto the snow when you stay at Espoir Misawa in Nagano. Located facing Hakuba Valley’s Tsugaike Kogen ski resort and just 20 minutes from JR Hakuba station by bus, this ski-in & out accommodation provides ultimate convenience. There are both western and Japanese style rooms available, and the rooms that face the slopes are the most popular. The menu of the restaurant changes daily, but they welcome requests for popular Japanese dishes like sukiyaki and shabu-shabu. After dinner, be sure to enjoy a glass of local beer down at the tea lounge. 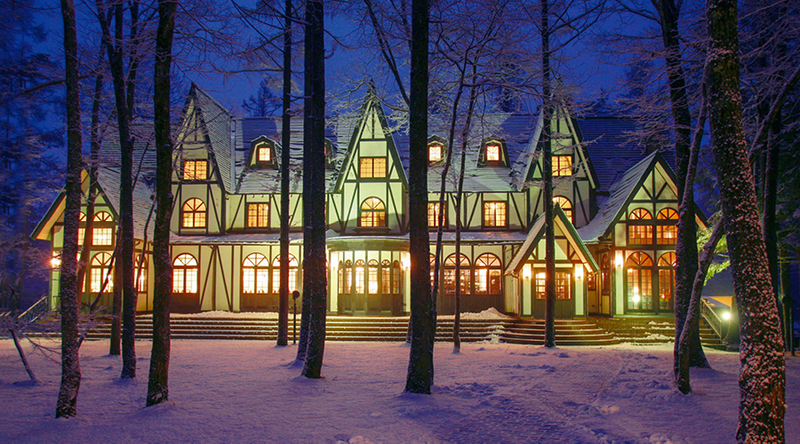 This ‘auberge’ style hotel and restaurant, Traumerei will transport you from Hakuba to a world of luxury. Starting from the eminently satisfying degustation experience at their highly acclaimed restaurant, to their private natural hot spring baths, you can indulge to your heart’s whim. A stay at Traumerei is so full of luxury and comfort, it may feel like a dream. 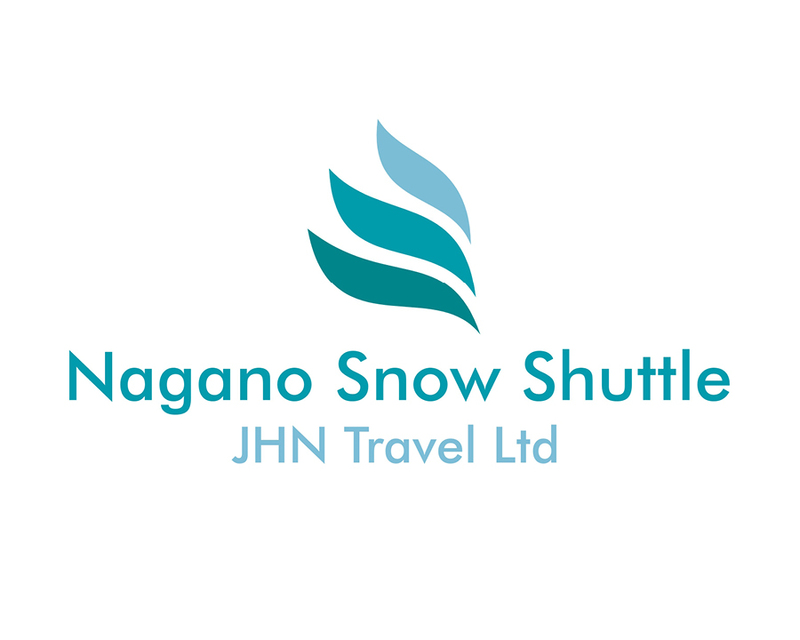 The Nagano Snow Shuttle offers services between both International Airports in Tokyo (Narita and Haneda) and the ski/snowboard regions in the Japanese Alps (Hakuba Valley, Nozawa Onsen, Shiga Kogen, Myoko Kogen, and Madarao Kogen). With nearly 10 years’ experience, a 90% on time rate, and not a single accident, this is not only the cheapest, but most convenient way to get to the slopes. Multi-Lingual staff are on hand at Check In to assist you, and guide you to your bus. This is truly the easy way to get to and from your ski destination, with no hauling luggage (and kids) through crowded stations. You’ll arrive at your destination refreshed and relaxed, and ready to make the most of your on snow time. Free Wi-Fi will be available on all airport runs for the 2018-19 season, allowing you to stay connected the whole time. Bookings can be made in real-time, or select one of our Lift pass + transfer packages, that offer even better value. 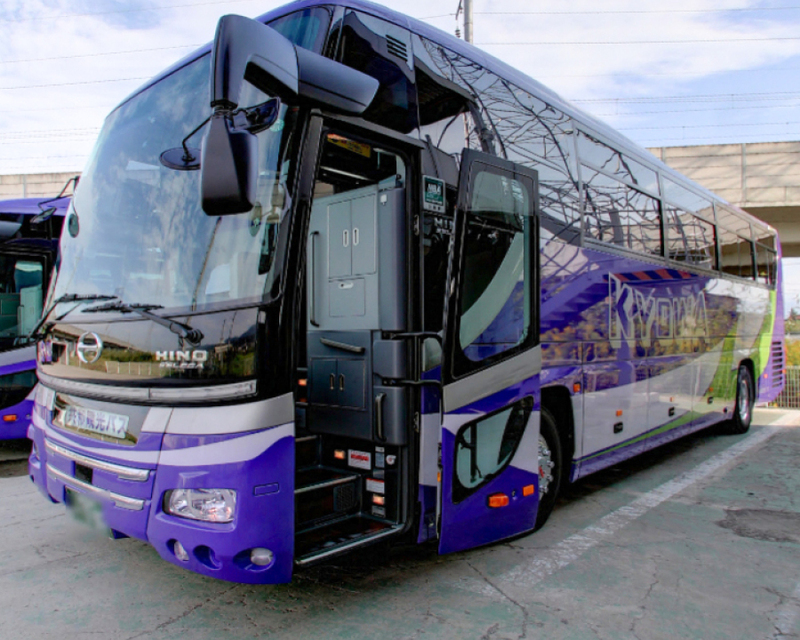 With 4 daily return trips from Narita, and 2 from Haneda, we connect with almost every flight, and if you have a delay, then there is always another bus later in the day. 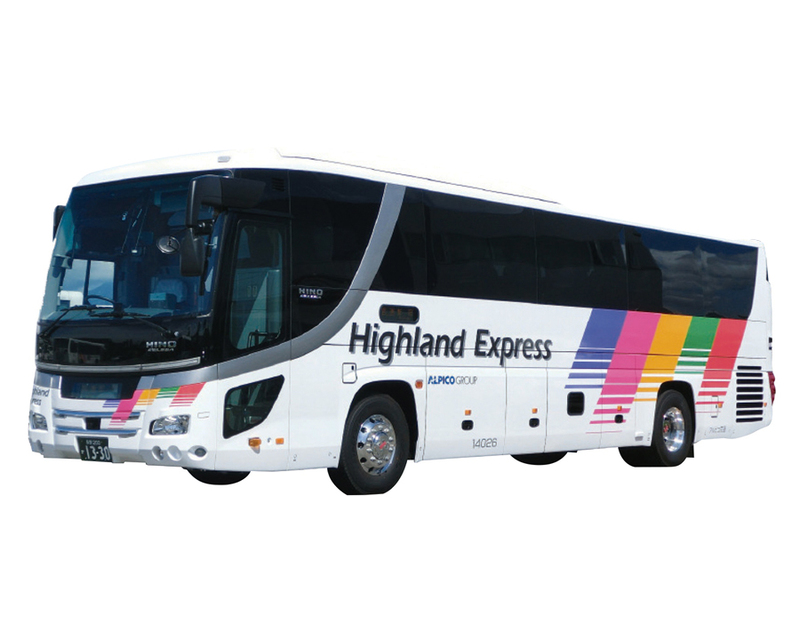 The Alpico Group offers direct express bus services to Hakuba from Tokyo, operating exclusively between December and March. The buses operate out of both Narita and Haneda Airport, so you can be on your way to the snow in no time after landing in Japan. 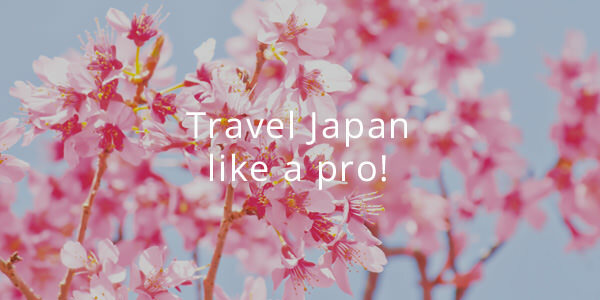 This is such a convenient service considering the luggage most skiers and snowboarders must lug from the airport to the station and to any other transport swops you may need to take between there and Hakuba. 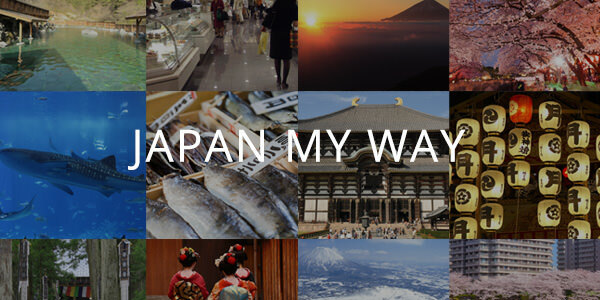 This way, a smooth, hassle free trip is ensured. 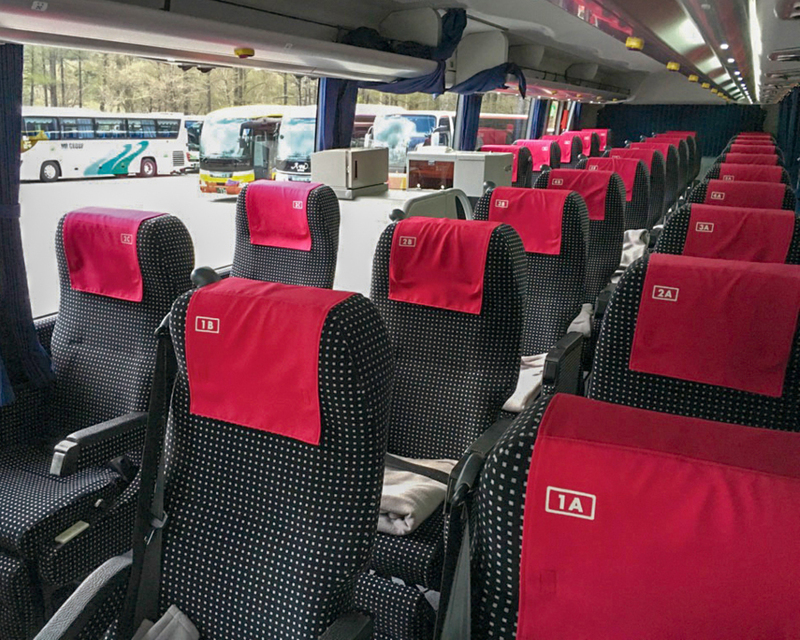 The direct express buses are designed with the utmost comfort in mind. The bus itself is very spacious with only three seats per row. There are two kinds of seating, but both are comfortable and plush lounge chair style seats that come complete with a power socket, table and blanket. With such fantastic seating you can take a comfortable ride and rest your body between your flight and the snow. Wi-Fi is available for an extra fee upon request at the time of checking into your bus. 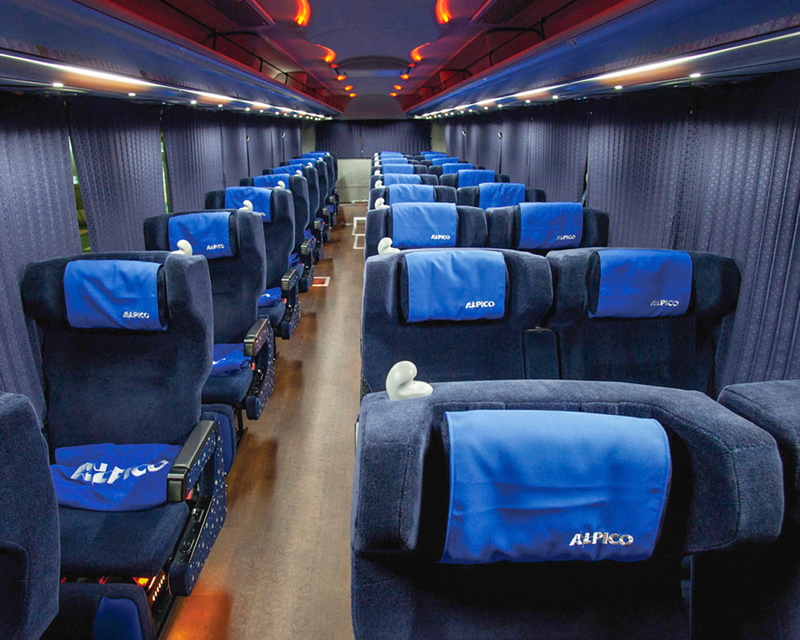 The Alpico Group offers a whole range of transport services for visitors to Japan. One of their very convenient offers is their privately chartered vehicles! There are several options when hiring charter vehicles with Alpico. For groups of 20-25, there’s the micro bus, for 5-9 people, the van would be suitable. For families with small children or those wanting a charter for a small group, there’s the VIP van option which accommodates up to 5 people and a Sedan option for up to 4 people. 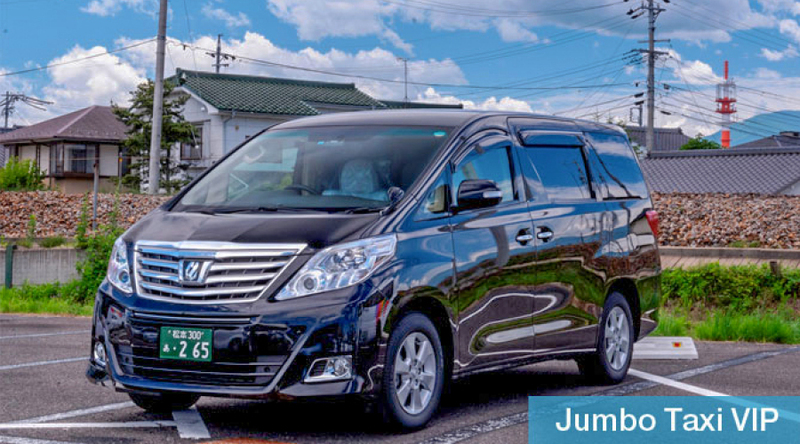 The charter vehicles travel between Hakuba and both Haneda and Narita Airport, however it’s not limited to those locations. 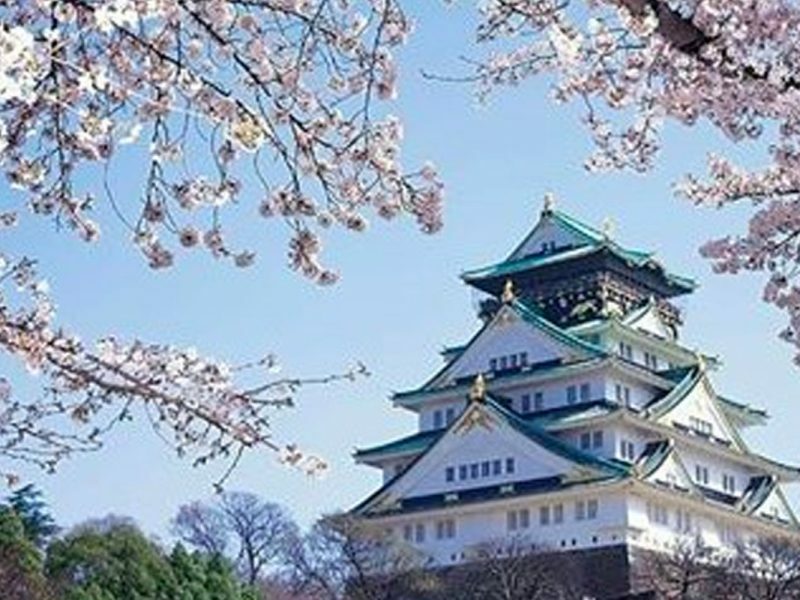 You can hire a charter bus or car between Tokyo and Nagano – whether you need transport to accommodation or for sightseeing the region. With your own private charter, you not only get comfortable spacious seating but also free Wi-Fi aboard. 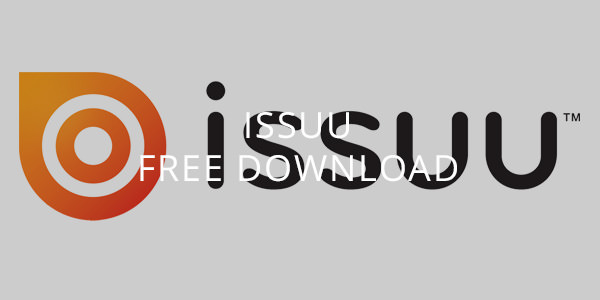 Alpico’s unique service allows you to customize your own courses with a free estimate. 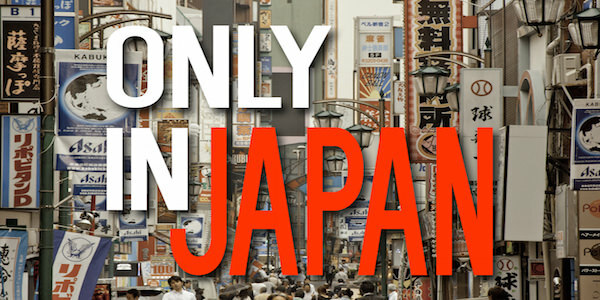 Accepting online booking is the most suitable for travel in Japan! Of course their support team is available to help you with all of your transportation needs in English. 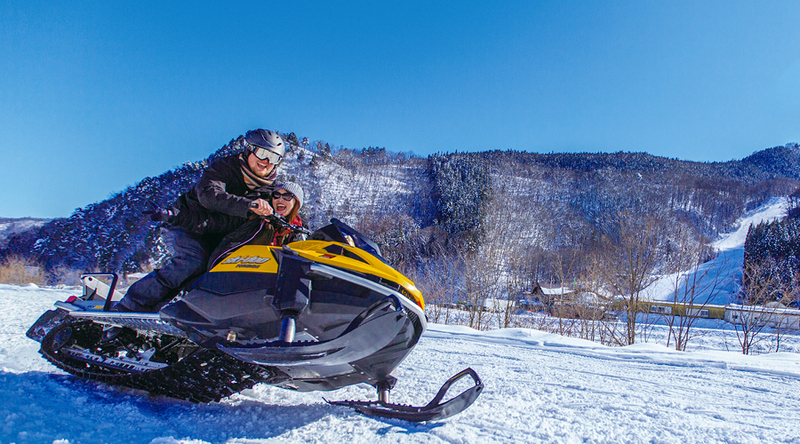 During your holiday Hakuba, you will surely be partaking in all kinds of activities. To ensure you are well energised, you will need some food supplies. 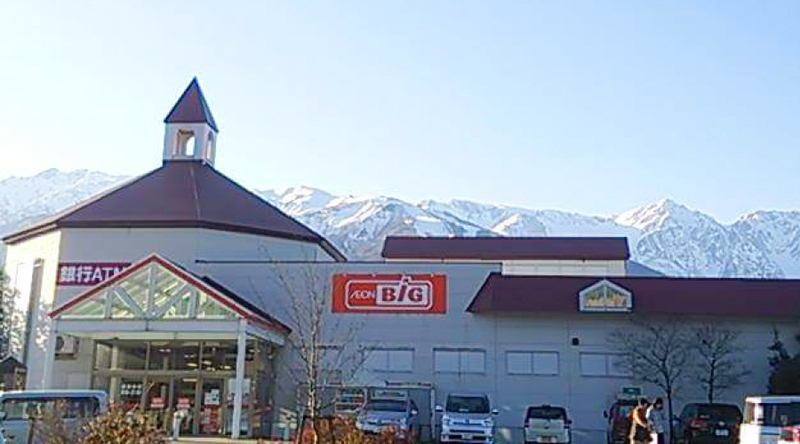 The Big Hakuba is a supermarket in Hakuba that can supply you with all of your day-to-day needs from food to basic lifestyle goods at highly discounted prices! 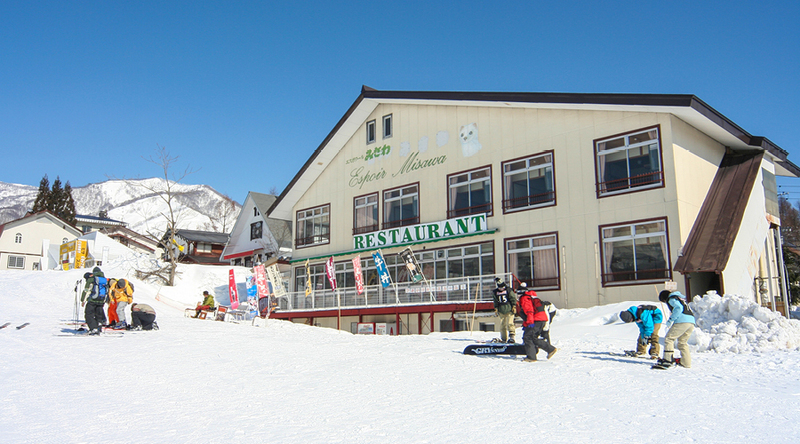 The store is located within 20 minute walking distance of Hakuba station. It’s from 9am to 9pm daily so don’t worry if you forget to shop for dinner before heading to the snow during the day. 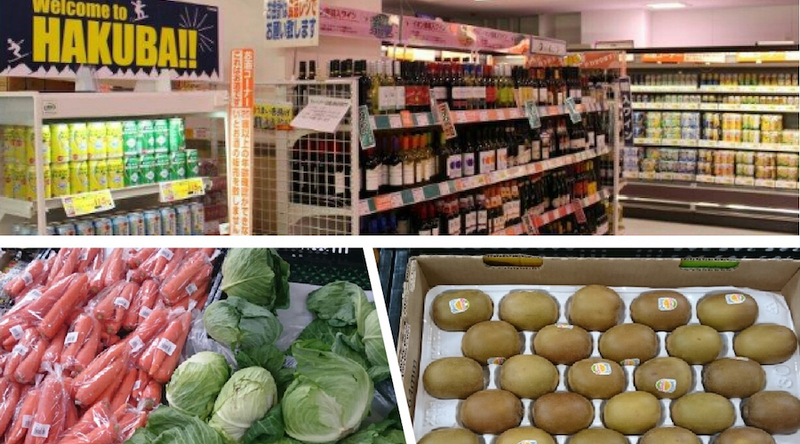 Count on A･Coop Hakuba to provide you with fresh and delicious produce from local and neighbouring suppliers. 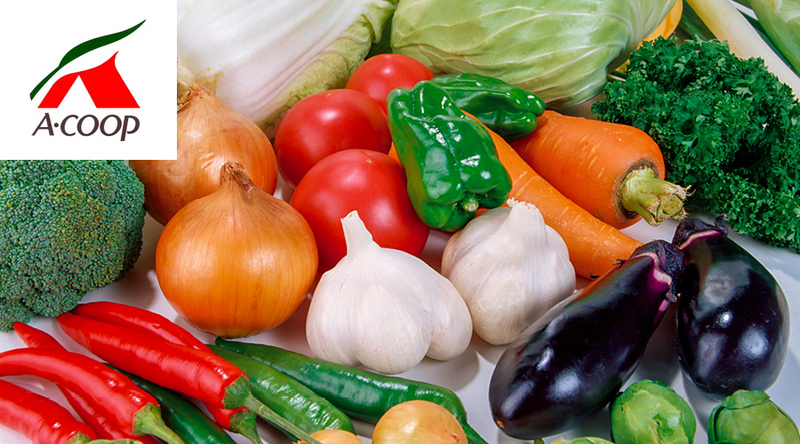 You can find anything from fruit, veggies and meat – all locally grown as well as other day-to-day goods at the store.